The daytime film group is part of the St Andrews Film Society. The St Andrews Film Society is a member of the Federation of Victorian Film Societies. The daytime group screens newly released films and welcomes new members. 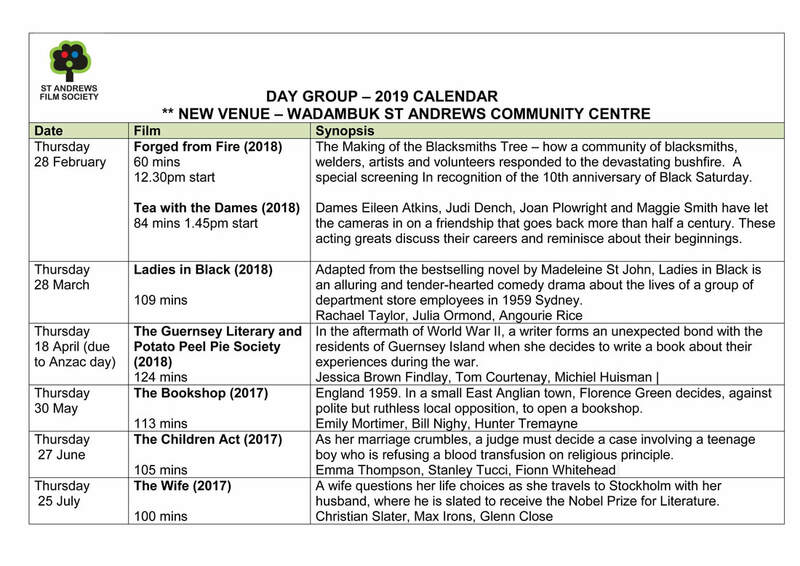 There is a new film shown at Wadambuk St Andrews Community Centre on the 4th Thursday of each month. 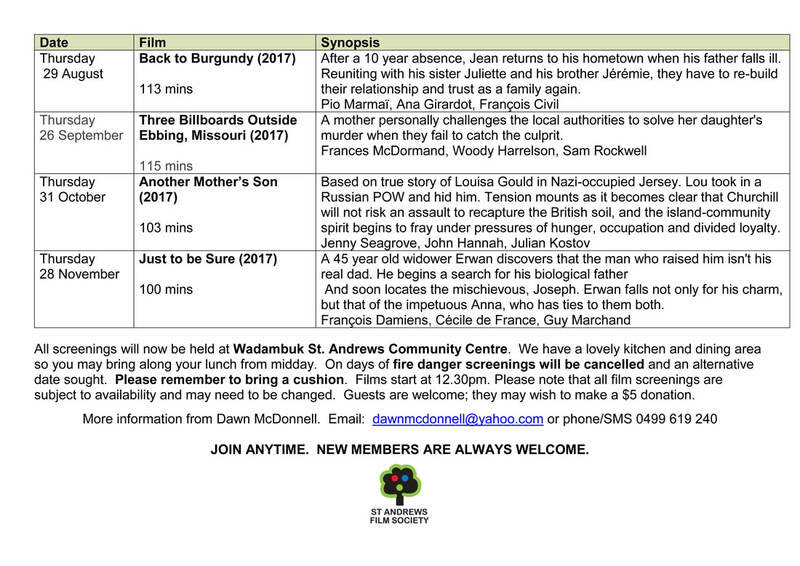 We meet at noon, BYO lunch and film starts at 12:30pm. A $25 membership fee entitles members to see a film every month starting 28 February 2019 and also includes afternoon tea.